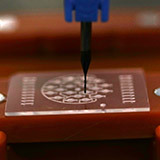 We offers rotary die cutting and stamping with microchannels as small as 500 micrometer wide. 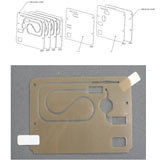 Hochuen medical has abundant experience in silkscreen printing to make electrodes and labels. 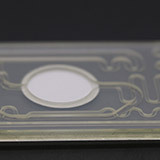 We can produce electrodes for glucose sensors and other electrochemical detection based sensors. 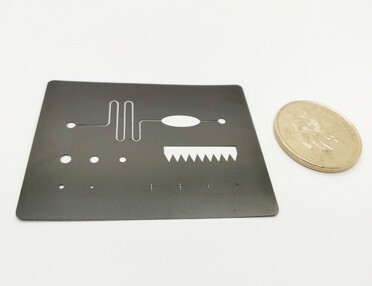 Laser machining can be either used for prototyping or high precision cutting on thin film materials with a microchannel as small as 100 micrometer wide. 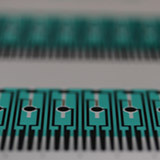 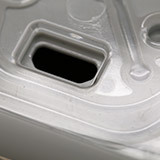 Adhesive bonding is a flexible method to make a channel or even multiple layer structures with connected channel network. 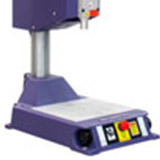 Ultrasonic bonding is suited for bonding two layers with the same material, such as plastic, fiber, silica, etc. 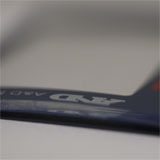 Printing of the letters and figures on the curved surface can be achieved by pad printing technology. 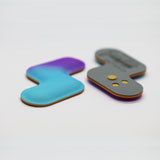 Hochuen has more than ten years’ experience in pad printing. 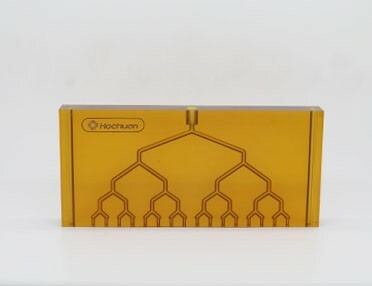 Hochuen is capable of manufacturing blister packs and reagent cups for reagent storage. 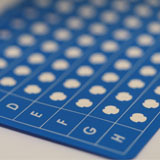 Blister packs for volume of as small as 50 uL can be manufactured. 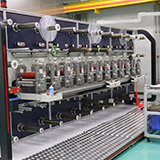 More than 10 layers can be laminated with high precise and tight tolerance to form channels, reaction chambers, etc. 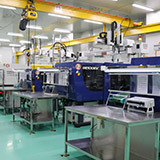 With our strong capability in soft goods materials and manufacturing, we are currently producing high-volume and high-quality wearable devices for medical applications. 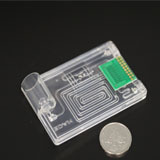 These devices have embedded electronics. 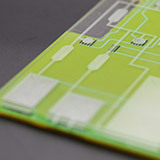 New generation fluidic manifold used in IVD instruments with flexible design, good thermal and chemical stability.